This converter calculates the standard transverse antetorsion based on the oblique antetorsion value and the inclination angle. Please insert all values in degrees. Based on trigonometric calculations, the femoral antetorsion measured on oblique MRI images (parallel to the femoral neck) can be converted into the anatomically correct femoral antetorsion (equivalent to the antetorsion measured on strictly transverse images). 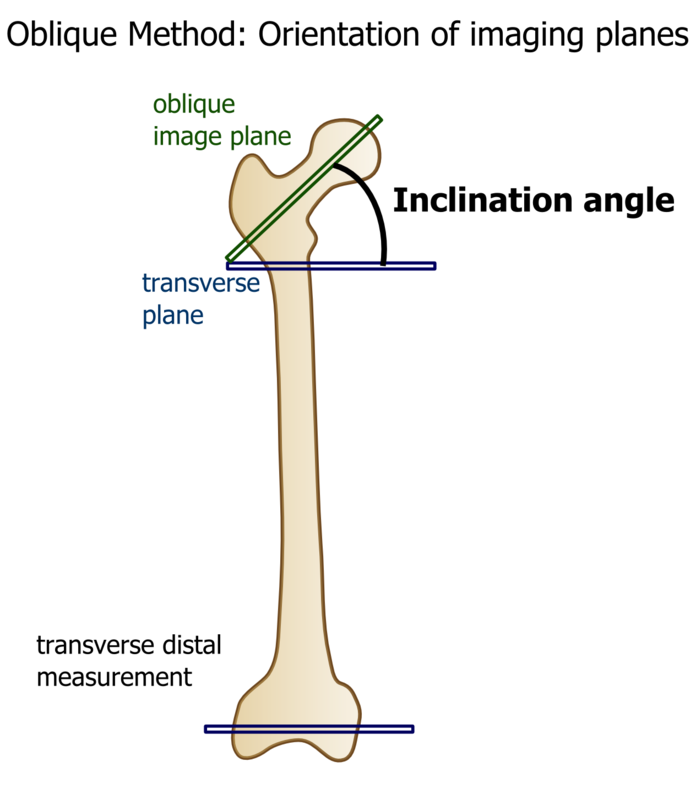 For this conversion, the inclination angle needs to be measured and provided: The inclination angle is measured on a coronal MRI image and is defined as the angle between the oblique image plane and the transverse plane. This converter is provided as a tool for a fast and easy conversion of oblique antetorsion values of the femur into standard transverse antetorsion values, as described in a recent paper [Sutter 2015]. The value obtained here should not be used for diagnostic purposes or as a base for therapy decisions. Diagnosis and therapy planning of hip disorders should be undertaken by the treating physician based on a combination of clinical and radiological findings.